A number of boys will be in the mix for the state's top spot in the mile. Wallenpaupack's Tyler Wirth has the quickest returning time in the state. The Cincinnati recruit went 4:20 last year to take fourth at indoor states last year. He went 4:14 outdoors for 1600 meters last spring and will be a factor this winter in the mile. Two other returning mile medalists back this season are Greensburg Salem's Cameron Binda and Haverford's Aiden Tomov. Binda went 4:22 at the state meet and grabbed sixth place last season. He was fifth in the outdoor 1600 in AAA, and after an XC season where he won a team title, he'll be in line for another big season on the track. 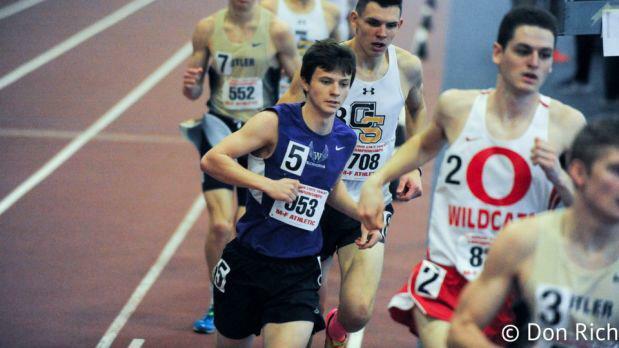 Tomov broke through in a big way last winter, running 4:25 to take seventh at indoor states in the mile. There is a wealth of talent after the returning medalists. Jonah Hoey of Bishop Shanahan will surely be one to watch. Last spring, we saw the brother of the now-professional Josh Hoey start to make a name for himself. Hoey ran 4:23 indoors last season, and then outdoors really came alive, running 4:17 for 1600 meters and nearly winning a AAA state crown as a sophomore. Mount Lebanon's Patrick Anderson was 10th at indoor states in the mile and sixth at outdoor states in the 1600 meters (AAA). Since then, he became a state champion and Foot Locker Nationals qualifier in XC. Expect him to compete for the title indoors over the mile distance once his XC season finishes up. Seneca Valley's Sam Owori and Seth Ketler, Pennridge's Matt Eissler, Juniata's Garrett Baublitz, Warwick's Connor Shields, Lower Merion's Charlie Herrmann, and LaSalle's Vincent Twomey all return this winter with returning times from last indoor season under 4:30.